Fidel Castro, who defied ten American presidents and placed Cuba onto the world stage, is dead at the age of 90. His supporters in Havana described him as a tireless defender of the poor. 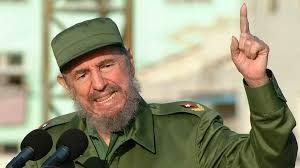 Be the first to comment on "Fidel Castro 1926-2016 ” I find capitalism repugnant. It is filthy, it is gross, it is alienating… because it causes war, hypocrisy and competition.”"